People rest the most effectively and profitably in their own houses. It is worth to take care of its atmosphere, appearance and climate. A photo wallpaper will be helpful. A remarkable composition will enliven walls of your bathroom. 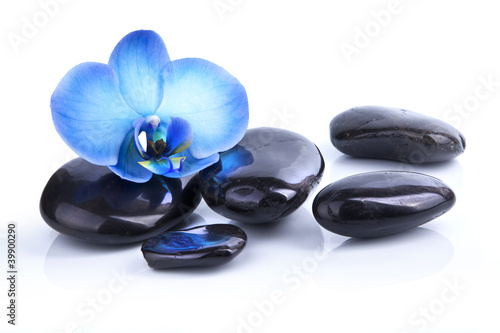 Let an extraordinary orchid add taste and elegance, and stones introduce lightness.